The Center of Excellence for Clean Energy presents an annual Best Practices Summit. Each year the Summit brings together business professionals, educators, and public sector leaders to learn and discuss best practices in the energy industry. The Summit, now in its 12th year, will feature Dr. Mark Taylor, an award-winning speaker recognized internationally as an educator, expert, and consultant on the forefront of transformations in educational practice and workplace management. 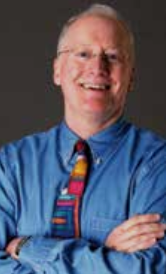 As an authority on generational relations and the traits, developmental issues, and learning outcomes of today’s young people, he is dedicated to helping colleges, universities, and professional programs better understand and serve our students for learning, development, persistence, and successful integration into the “after college” world through keynotes, seminars, and workshops. He is founder and President of Taylor Programs. The Summit, in its 11th year, featured the Pacific NorthWest Economic Region (PNWER)’s Matt Morrison as keynote. Mr. Morrison has been a leader in promoting innovation in the Canada-US border region and has been instrumental in several successful pilots of Beyond the Borders and Perimeter Security Action Plan. In addition to Mr. Morrison’s keynote, attendees learned about initiatives that are under way in Washington and on the federal level, including the EPA Clean Power plan, the state Clean Air Rule, and state Executive orders. Notable speakers included Tony Usibelli, Washington Dept. of Commerce; Ann Rendahl, WA Utilities and Transportation Commission; and Susan Wickwire, Seattle 2030 District. Virtual Design and Construction: The Future of the Construction Industry: Hear from experts on how technology is changing the industry. VDC is the key to resolving discrepancies within design related documents to improve construction efficiencies. The impacts of technology from design to build and what that means for the workforce.